In case that changes on the way(or mode) of offering information or functions limited to specific contents(delete, move) are required, excluding major information and functions fundamentally provided by each application, the changes and functions are defined as Extra Features. Extra Features are made up variously depending on situation. There are several ways to provide extra features, but calling a popup window by entering color button or simple menu button is a general way. A popup window is provided if an additional OSD is necessary for operating extra functions while in application, and in case that selection, acknowledgement, alert are needed. Popup windows are categorized by five forms according to purposes as stated below. A popup window includes basic text information. Commensurate with five forms mentioned above, a title area, a Navigation Help area, an available GUI button, icons to sort state etc. can be added in a popup window. 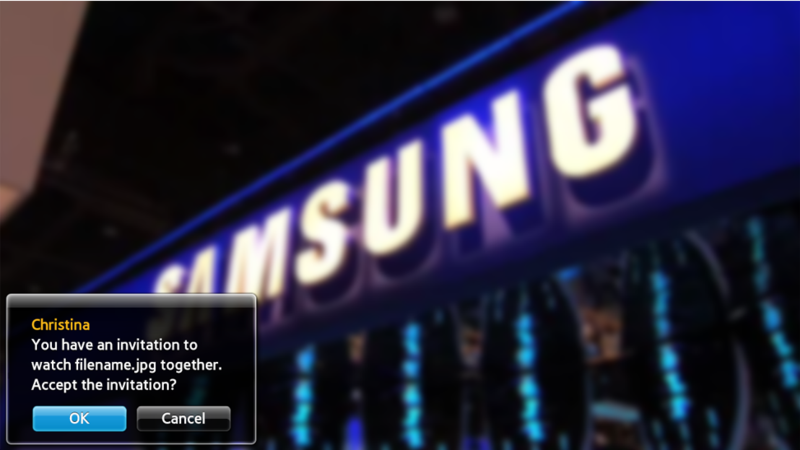 If a popup window is created, the background area excluding the popup window becomes inactivated status, and operations by remote control input does not affect the other areas. 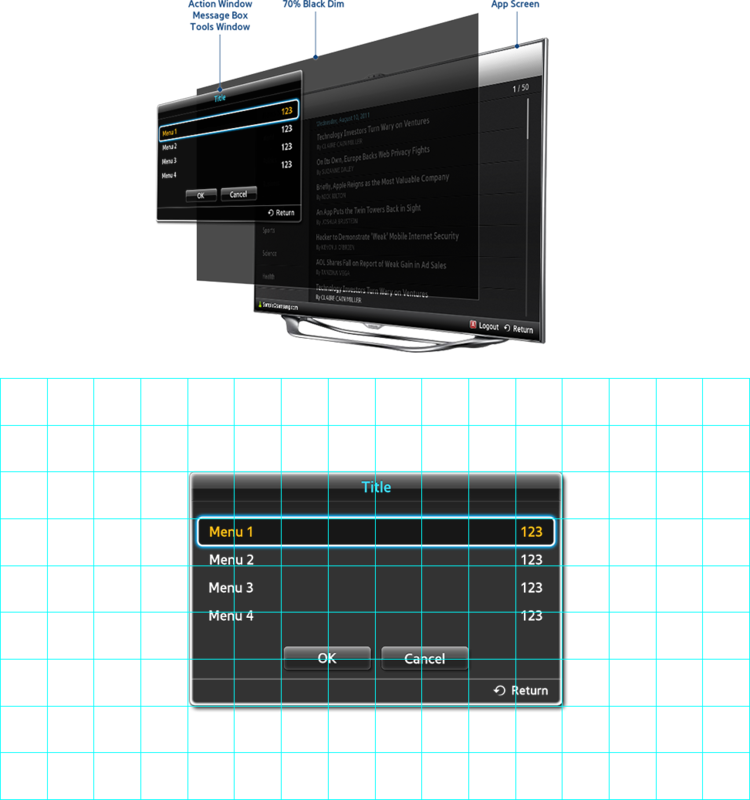 An action window and a message box generated in the center of the TV screen as Picture 7-1. In case of mini popup, identical field is recommended, but you can arrange it wherever you want if needed. Action window is a popup window accompanied for function operation. It consists of components that have focus such as double function lists, GUI buttons such as ‘Yes/No’, ’Confirm’, and Text Message input area. You can use an Action Window in the cases as stated below. Following is the examples in need of Navigation Help. Action window is represented with the same formation as Picture 7-2, Picture 7-3. This is a popup window to provide feedback about changes of users button input or system status. 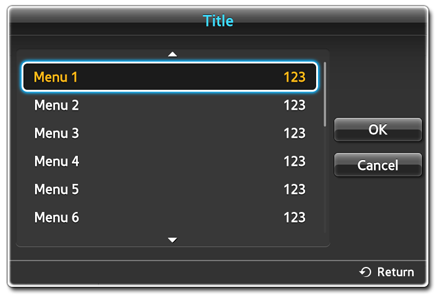 Title and Navigation Help are not indicated, it is composed of information area and GUI buttons such as ‘Yes/No’ or ‘Confirm’. Use a message box in the following cases. 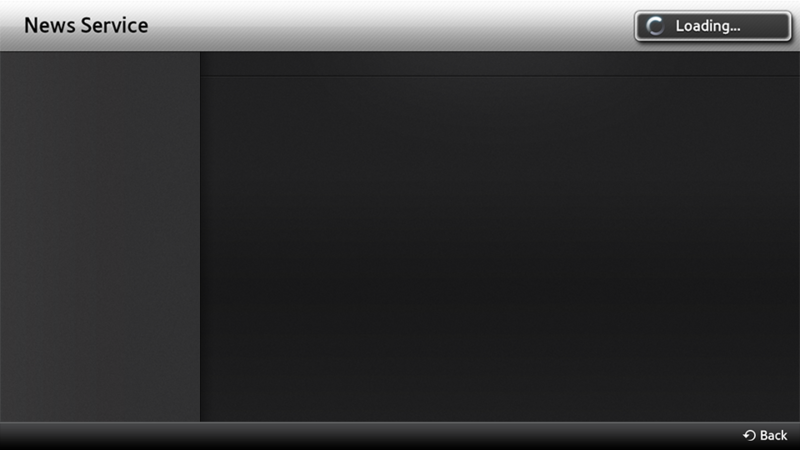 A Tools Window is the type of window that appears on the right side of the screen when calling up the Tools menu within an application. A Notification Pop-up is the type of pop-up used when the application needs to notify the user about something. This pop-up is located at the bottom left of the screen. 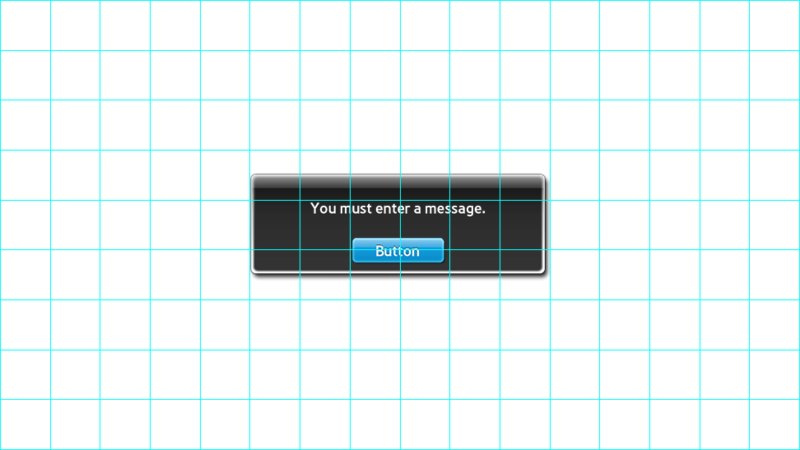 The pop-up consists of Title, Message Text and GUI buttons. A Spinning Indicator made up of an animated icon and text is displayed either when a specific process is taking place or data is being loaded. 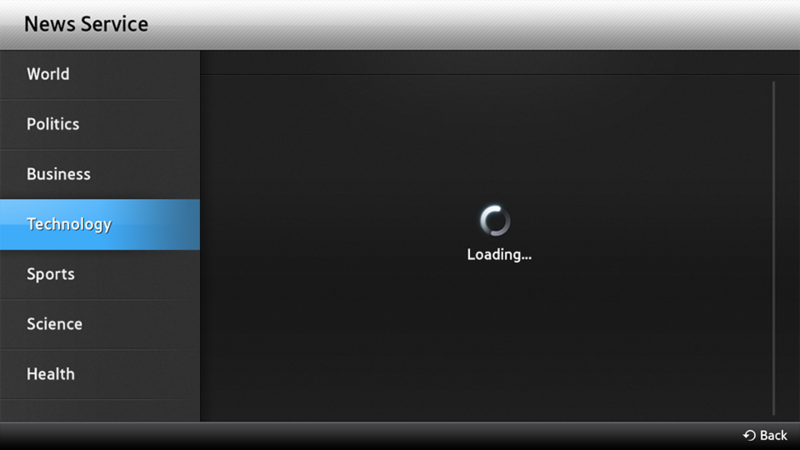 This is generally displayed as a popup at the top right of the screen, but when categories within an application are loading, the Indicator is displayed within the Category area, as in Picture 7-8. Once the process is complete, the Indicator disappears. 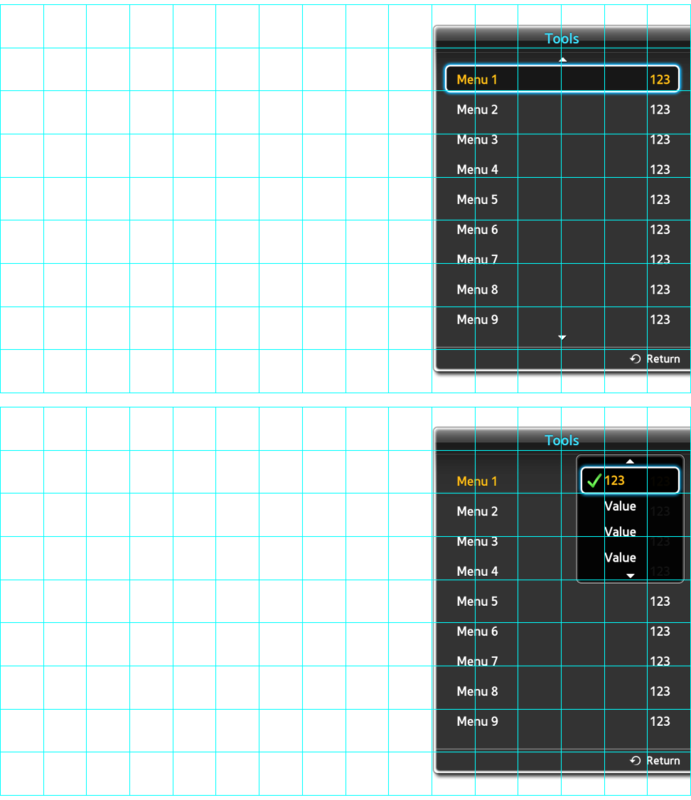 The table below shows maximum screen duration time per onscreen display type when no input is entered.